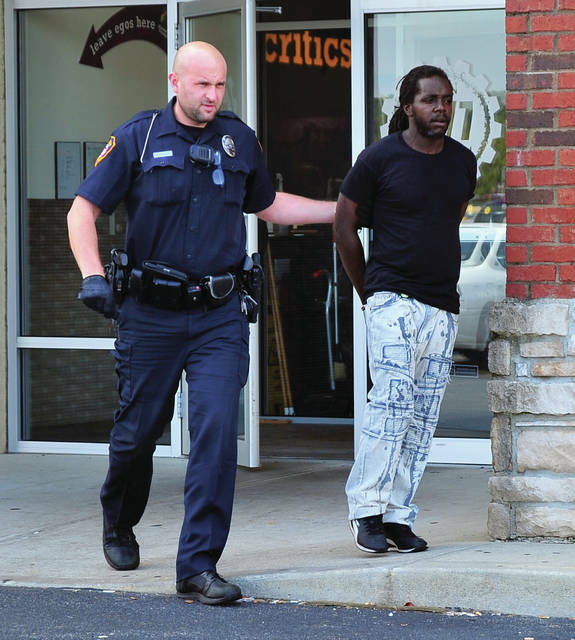 Officer Devon Alexander of the Piqua Police Department leads Darien Anderson, 36, of Dayton, out of the Piqua Planet Fitness on Thursday after Anderson was allegedly witnessed stealing a small refrigerator from the Piqua Walmart. Anderson fled the scene on foot but was quickly apprehended. He was charged with one count of theft and also found to have an arrest warrant out of Montgomery Co. 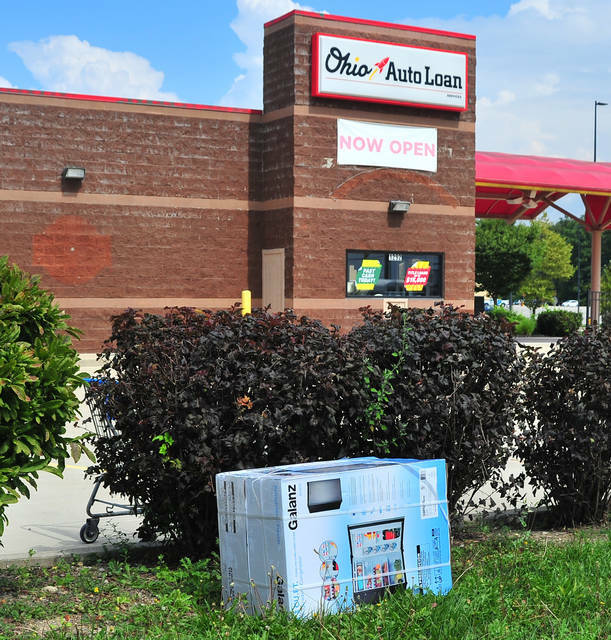 He was taken to the Miami County Jail. The case remains open as officers investigate the possible involvement of a second suspect. 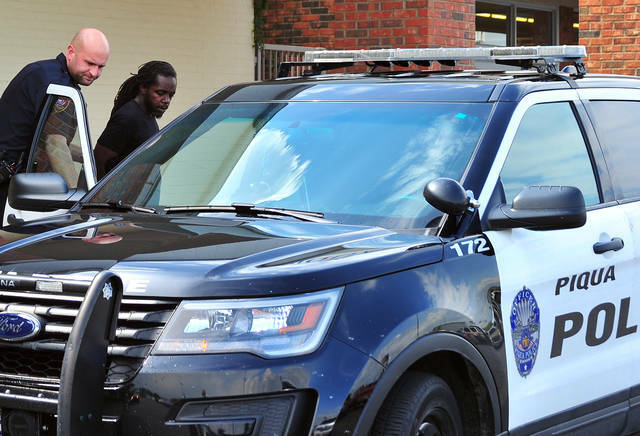 https://www.tdn-net.com/wp-content/uploads/sites/21/2018/09/web1_090618mju_ppd_arrest1.jpgOfficer Devon Alexander of the Piqua Police Department leads Darien Anderson, 36, of Dayton, out of the Piqua Planet Fitness on Thursday after Anderson was allegedly witnessed stealing a small refrigerator from the Piqua Walmart. Anderson fled the scene on foot but was quickly apprehended. He was charged with one count of theft and also found to have an arrest warrant out of Montgomery Co. He was taken to the Miami County Jail. The case remains open as officers investigate the possible involvement of a second suspect.